With technology being what it is these days (quite amazing if I say so myself), an actual hand written note is slowly becoming a thing of the past. While I love technology and all that it offers, I also love getting mail that isn't junk. It is so awesome to open my mailbox and see a card or a note from someone who cared enough to sit down and hand write something to me. Even as a child, I would get so excited for the mail to arrive. Growing up in the South, I learned early on that writing a note to thank someone for a gift or a kind gesture was a must. Don't you love getting thanked for something and knowing that you made someone's day? In the recent years, I've had plenty of opportunities to write thank you notes: bridal showers, wedding gifts, Christmas gifts, birthday gifts, baby showers, baby gifts once Baby K arrived, more baby gifts....yep, tons to be thankful for. It means so much to me that so many amazing people in my life have been generous with gifts and it is important for me to tell them. 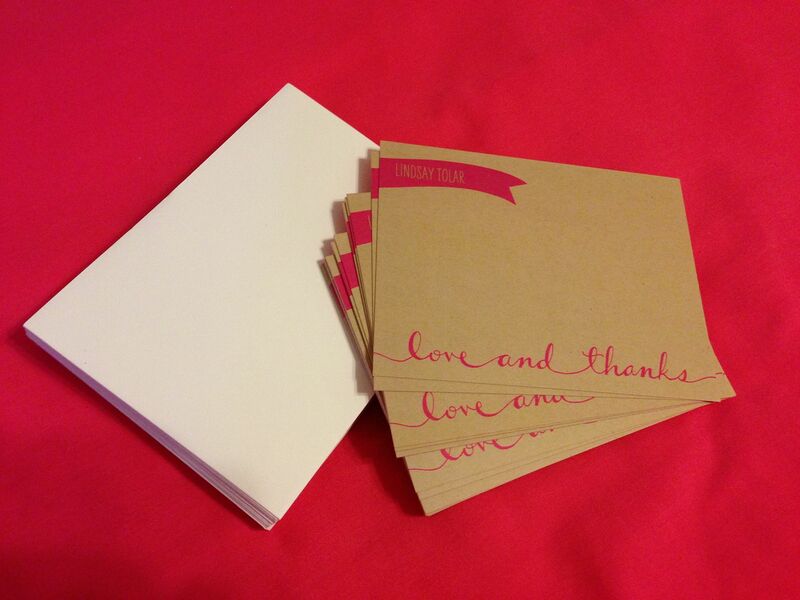 The first step in writing a great thank you note is having a cute set of cards. 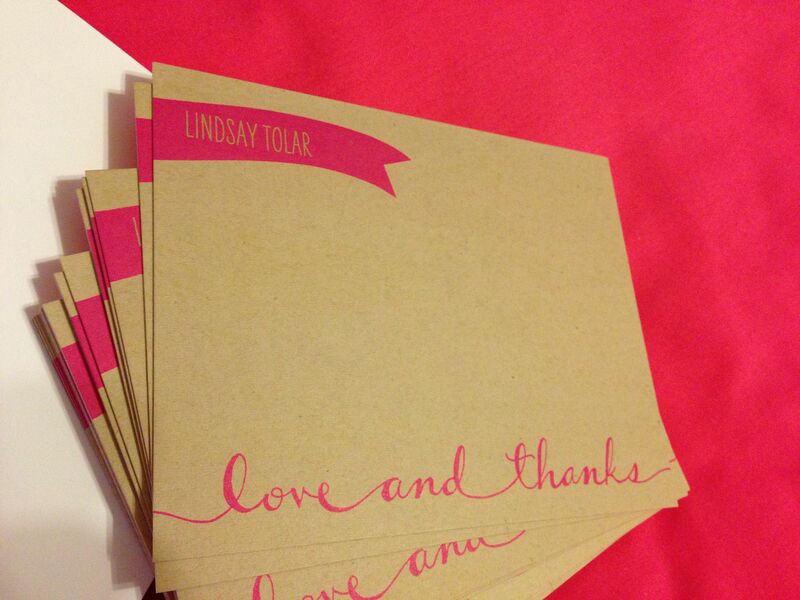 One of my new favorite places to order thank you notes from is Tiny Prints. Seriously check out their collection, they have so many awesome choices. It doesn't matter how old I get, I will always write thank you notes. Its something that my fabulous mother taught me (she still sends thank you notes to me!) and I hope to pass the art of the written word along to my daughter. Do you write thank you notes? Have any rules that you always follow? Share them in the comments below. Very cute Thank You cards! I think I follow all the same rules...no copy and pasting in names! Must be personal and sincere :) Thanks for sharing! My Mom always taught me the importance of thank you notes, so I always send them for any appropriate occasion. 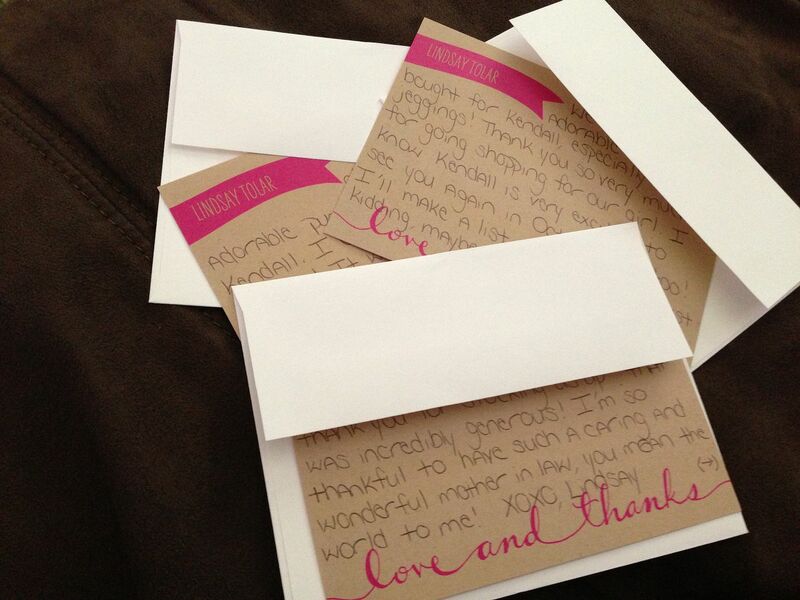 I totally agree that they should be personal, not just a standardized "thank you" format. I usually make my own thank-you cards because then I get the fun of crafting them! we got our birth announcements from tiny prints and loved them! i need to write more thank yous - i am behind! Just ordered our wedding thank you cards from Tiny Prints! A dear friend of mine also used Tiny Prints to do thank you cards for her daughter's 1st birthday.